It’s apples and oranges at first glance with the 2018 Jeep Renegade and the 2018 Subaru Crosstrek. These two compact crossovers share a rugged mission, but the Jeep Renegade’s boxy body contrasts with the tall wagon style of the Subaru Crosstrek. They’re two different takes on bite-size four-wheeling, and they’re both a fair amount of crossover for not too much cash. We like the Subaru’s blend of efficiency, value, and safety. 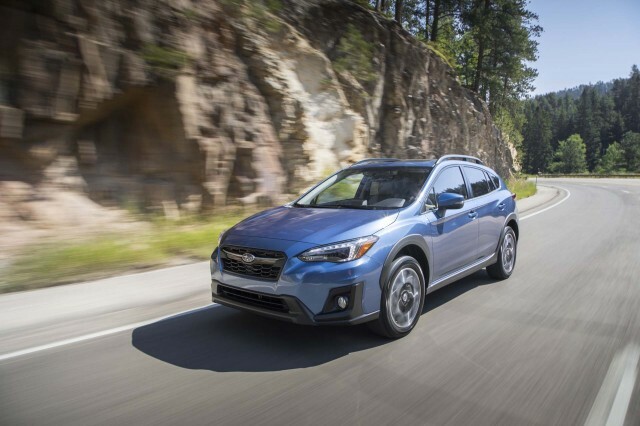 The 2018 Crosstrek rates a 7.2 out of 10 on our scale. The 2018 Renegade’s design forces some compromises and its crash-test scores are worrisome, which pushes it down to a 5.5 out of 10 overall. Should you find yourself with a desire to take the road less traveled, these two crossovers are probably high on your list. Jeep has done a nice job pairing retro design cues and modern flair with the Renegade’s styling. It looks great with the chunkier tires on the off-roady Renegade Trailhawk. 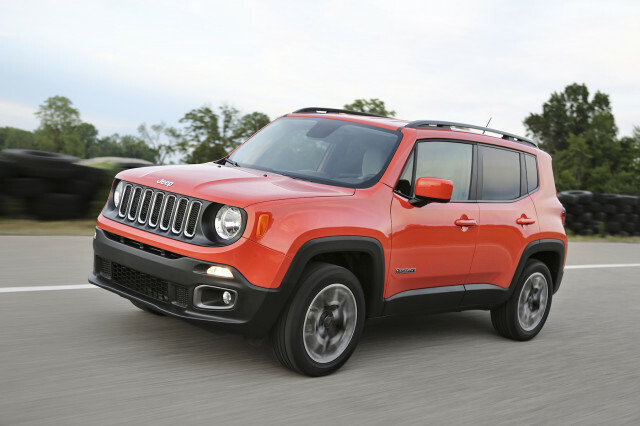 Inside, we like the Renegade’s personality, but find that its low seating position, thick roof pillars, and high beltline reduce outward visibility. 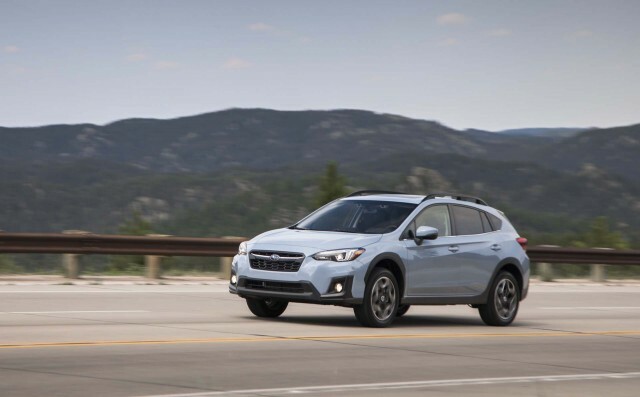 At a Subaru dealer, you’ll probably notice that the Crosstrek has a lot in common with the automaker’s Impreza hatchback. 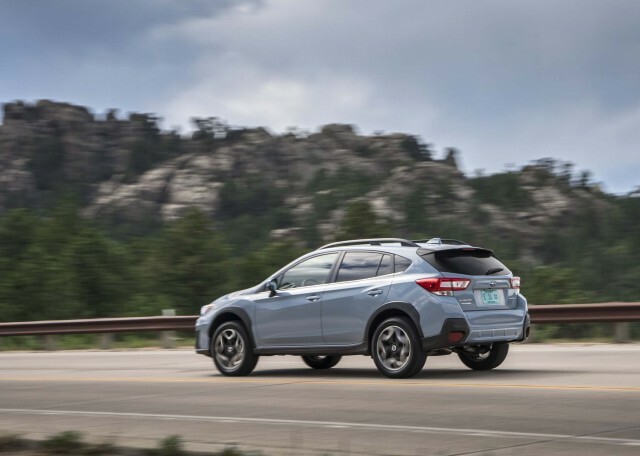 That’s no accident: the Crosstrek is an Impreza with plastic fender flares and a raised suspension that provides 8.7 inches of ground clearance. That recipe for quirky styling might not be to every buyer’s taste. Inside, the Crosstrek is more of a compact car than a crossover, yet it’s remarkably roomy and delivers excellent visibility for drivers. The Crosstrek looks smaller, but that’s just an illusion. In reality, it’s about 10 inches longer than the Jeep and only about 2 inches shorter. On paper, the Jeep offers 51 cubic feet of maximum cargo capacity, but much of that is above the rear window line and could hinder over-the-shoulder visibility. The Crosstrek comes has a more usable 55 cubic feet. For passengers, the Subaru has less headroom but an airier feel than the Jeep. Rear-seat passengers are treated to far more real-world legroom in the Crosstrek, too. Underhood, neither crossover will win a drag race. Jeep equips the Renegade with either a 1.4-liter turbo-4 rated at 160 horsepower or a 180-hp naturally aspirated inline-4. A 6-speed manual is standard, but a 9-speed automatic is far more popular. It’s not easy to see why; we’ve driven many Renegades and have experienced how they hunt for gears and judder through some shifts. The Crosstrek shuttles 152 horsepower from its flat-4 through either a 6-speed manual or a continuously variable transmission (CVT). The Crosstrek’s CVT makes the most of what’s there. It accelerates fine at lower speeds around town, but the Crosstrek can feel breathless at highway speeds. 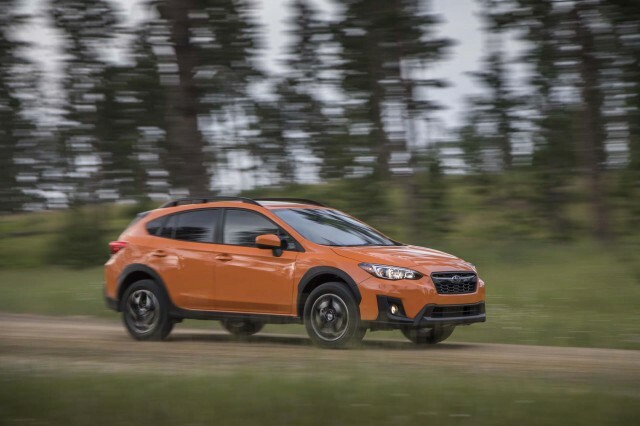 Unlike the Renegade, which comes standard with front-wheel drive, every Crosstrek is all-wheel drive. On the Jeep, that’s a $2,000 upcharge on some trim levels. The Subaru wins the numbers game when it comes to fuel economy, too. At 29 mpg combed with the CVT, the Crosstrek is far thriftier than the 24-mpg Renegade with the larger engine. Both crossovers have comfortable rides and light, easy steering. Neither relishes sporty driving, though they’re both confidence-inspiring on a curvy road. Off pavement, the Jeep is a mixed bag. All models but the Trailhawk sit low to the ground and are suited better to pavement-pounding than off-roading. The Renegade Trailhawk’s factory lift kit and simulated low range provide it with decent chops for when the going gets tough. All versions of the Crosstrek are capable right out of the box—somewhere between standard and Trailhawk versions of the Renegade. The Subaru surges ahead of the Jeep when it comes to safety. 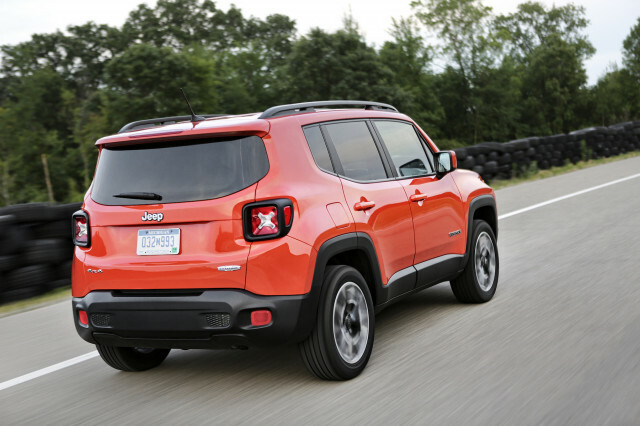 We rate the Renegade at just 3 out of 10 points on account of a subpar showing in both federal and independent crash-testing. Crosstreks score well enough to earn five stars from the NHTSA and a Top Safety Pick award from the IIHS. On the bright side, both crossovers can be ordered with a full suite of collision-avoidance tech like automatic emergency braking, adaptive cruise control, and lane-departure warnings. Jeep bundles its gear in an Advanced Technology Group available on all but base trims, while Subaru brands the gear under the EyeSight suite on Premium and Limited trim levels. 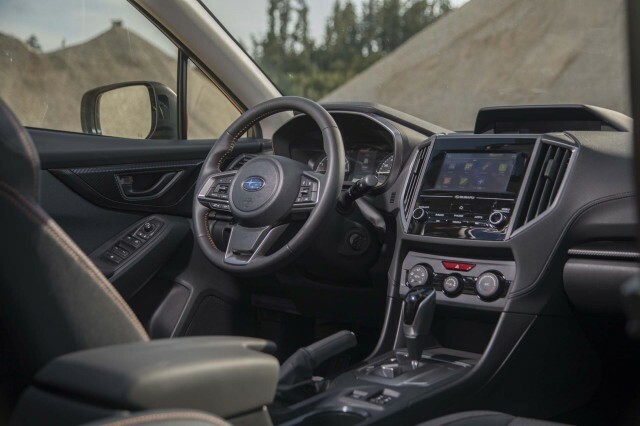 All Crosstrek trims come standard with a touchscreen for infotainment and Apple CarPlay and Android Auto compatibility. 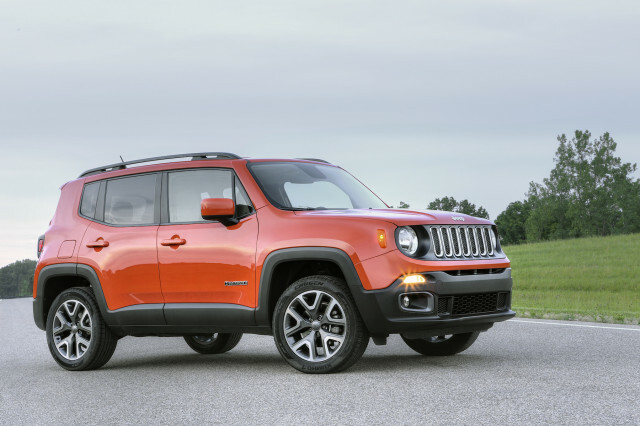 Jeep’s Renegade Sport is downright basic—Jeep charges for air conditioning, for instance—but the Renegade Latitude is a good value with Apple and Android support, alloy wheels, and dual-zone climate control. At around $26,000, a Crosstrek 2.0i Premium with EyeSight and the CVT represents a solid value. A Renegade Latitude with similar safety and convenience features costs about $29,000. 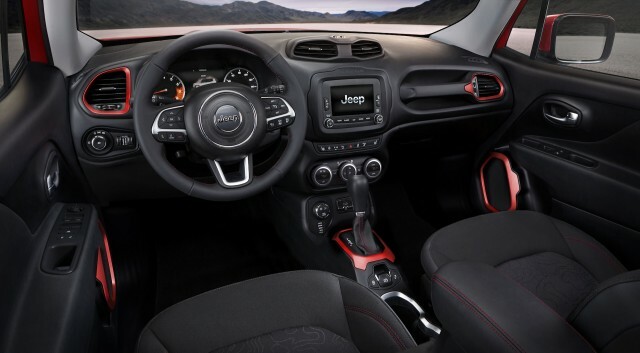 If power and boxy styling are your priorities, the Jeep Renegade is a comfortable crossover with loads of character. However, our money is on the slick Crosstrek with its impressive safety scores and its versatile interior. We have sent your request for price quotes on the 2018 Subaru Crosstrek and 2018 Jeep Renegade to the dealers you requested. They should be in touch shortly. Your request for a fast, free price quote on a 2018 Subaru Crosstrek and 2018 Jeep Renegade is in process. The CarsDirect Dealer(s) listed below will contact you shortly to discuss your request and to provide a quote.